Wallace is chock-full of buildings on the National Historic Register. For a taste of true Americana and the pleasures of the open road, look to the Palouse Scenic Byway, which includes that stretch of Highway 27 that carries travellers south from Spokane through the rolling hills and farming towns of the Palouse in southeast Washington. While the routes of the byway can make for any number of fun road trips during the summer, as the green grains start to turn amber in the heat, make an extra special day of things by hitting the road on Saturday, June 16. Start with a slight detour with a stop in Spangle for the 11 am short-but-sweet Spangle Days Grand Parade, and maybe try your hand at the pie-eating contest afterward. Then head through the small back roads until you hit Highway 27 toward Latah, a small but beautiful town with one little shop on the corner. Make your way south to Tekoa for the 90th annual Tekoa Slippery Gulch celebration, which lasts all weekend. Starting at 1 pm Saturday you'll find kids' games and contests, food vendors, wagon rides, and a tractor show, and if you stick around until dark, a fireworks show is planned. If you make it onto the scenic byway later in the summer, head further south for events in other towns, like the Palouse Music Festival on July 28 ($5 for kids, $10 for adults), or check out some of the places on the national historic register that you'll find sprinkled throughout towns on the route. The magic of riding the rails through the West has been somewhat lost to history, but not so in Newport, Washington, where the Newport/Priest River Rotary Club runs a family-friendly scenic train ride throughout the summer and into the fall. The Scenic Pend Oreille River Train, or SPORT, heads north from Newport along the Pend Oreille River up to a whistle stop at Dalkena, and the knowledgeable train crew will let riders know about the history of the area, from Native Americans to fur trappers, gold rushers to gamblers and more. About an hour and a half roundtrip, the ride is offered multiple times a day on July 14 and 15, Aug. 4 and 5 and multiple weekends in September and October. Tickets are $15 for children and seniors and $20 for adults, and you're encouraged to buy about a month in advance because they sell out fast. Half the cars are covered and the other half are open-air, so passengers are advised to dress for the weather. Snacks are available for purchase at a store before the train departs. Visit sporttrainrides.com. If you're up for the hunt, channel your inner Indiana Jones and head to Republic, Washington, about three hours northwest of Spokane, where 50 million-year-old snapshots of living history hide in the rocks of an ancient lakebed. Though an early morning might sound daunting, Stonerose Interpretive Center Operations Manager Travis Wellman recommends that eager fossil hunters arrive in the morning, between 8-10 am, as it's cooler and makes it easier to dig for fossils. Admission is $5 for kids, students and seniors and $10 for adults, and the nonprofit-run center will point you to their fossil site where you can find as many as you'd like, but take home three a piece. "We provide an orientation before they head up to the site, explaining what to look for and how to look for it," Wellman says. Visitors will find "everything from leaves like alder and elm, to conifers. There's also a variety of insects, from dragonflies to ants and wasps and even about five different species of fish." Make a day of it and grab some food — Wellman is partial to the Freckle fries, slathered in barbecue sauce, pulled pork, onions and cheese, at nearby Freckles' Gourmet BBQ — and head up to Curlew Lake State Park to cool off for a bit. Visit stonerosefossil.org. A three-hour drive north of Spokane, Nelson sits on Kootenay Lake in the Selkirk Mountains and offers plenty to do, from shopping and dining to nearby hiking, water sports, and the chance to relax at Ainsworth Hot Springs. This is definitely a longer trip, so you'll want to leave early if you want to squeeze this historic mountain town into one day. 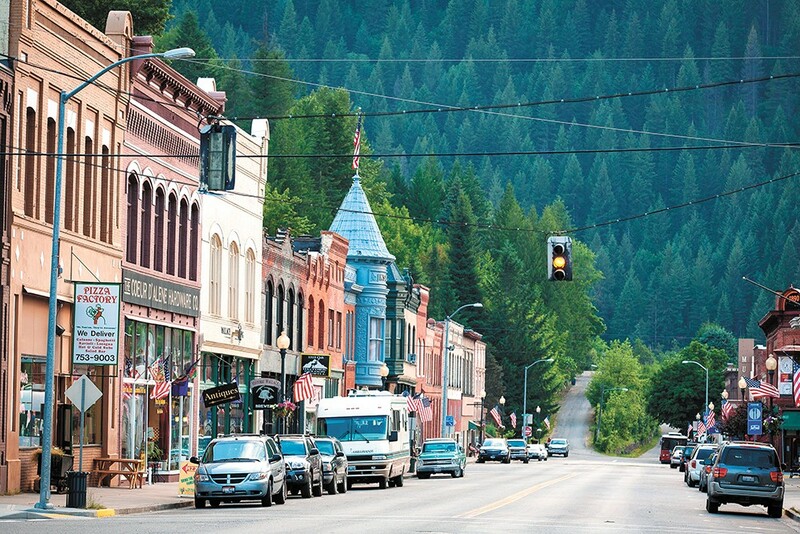 With a long history as a Wild West silver-mining town, Wallace is chock-full of buildings on the National Historic Register, with the scars and survival tales to prove it, shaped by major fires and the boom and bust of industry, to the stories of loggers, prostitutes and other pioneers. Nearby is the Route of the Hiawatha bike trail, which the town will honor with a 20th anniversary celebration on June 22 and 23, with a gala parade at 5:30 pm on the 23rd. 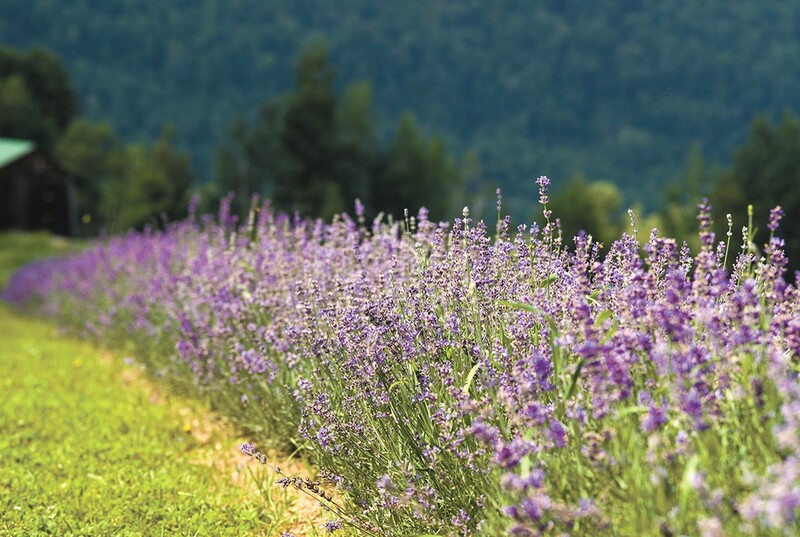 The Evening Light Lavender U-Pick festival returns July 7-8 in Deer Park, Washington. Just north of Spokane in Deer Park, the third annual Evening Light Lavender U-Pick festival will take place from 9 am-5 pm July 7 and 8, with affordable food, unique craft vendors, activities for kids, live music and, of course, plenty of opportunity to take home some lavender. The event starts at $5 per person, kids 10 and younger are free and other ticket packages are available (some include shirts, lavender ice cream and more) at eveninglightlavender.com. "One thing that's super important to us is to always give something back to the community at our festival," says Kristina Beal, festival director, who explained that partner organization Blessings Under the Bridge is asking for donations of toiletries this year. The event is also geared to be very family friendly, Beal says, so food prices are kept at or below about $6 per meal. U-pick prices start at $6 for a small bundle, and the festival also features lavender ice cream and lavender donuts made just for the two-day event. When something's good, why mess with it, amiright? The original print version of this article was headlined "Day Trips | Summer Guide 2018"